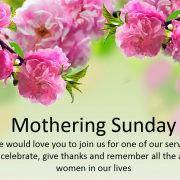 Our Mothering Sunday services will be held on Sunday 11th March. We’d love you to come and join us. Please see details of all our Sunday services. On Sunday 11th February we launch our Sunday Drop In to enable anyone who is feeling lonely and would like some company to join us in the church hall for a chat, refreshments and games. Transforming Wigan’s latest update is now available. 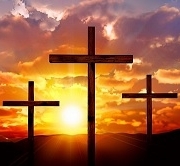 We have just released our 2018 postcard which contains two wonderful bible verses and a great reflection to accompany them. 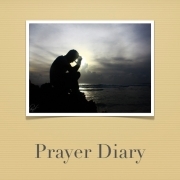 The monthly prayer diary for December is now available. Please consider using this as part of your daily prayer routine and lift to God those people and issues which are listed. Messy Church is really relaxed and fun. You walk around the different activity tables choosing which you would like to join in with. Someone will explain what you need to do and the grownup who is with you will give you a hand if you need it (all under 11s need an adult with them). At 4.30 we all get together for our celebration time and then we have chicken wraps at 4.45 followed by Christmas muffins you will have decorated yourself earlier! Come along and find out more about how all these activities point us to Jesus at Christmas time. Kelsey Roby and Shannon Gillespie are organising a concert on Friday November 17th at 7:30pm to raise awareness of modern day slavery which is rife in this country. There will be a mixture of worship and relevant secular songs with video clips and stories of lives that have been changed through City Hearts. 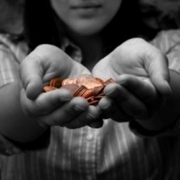 The concert will be free with the opportunity to donate to City Hearts.